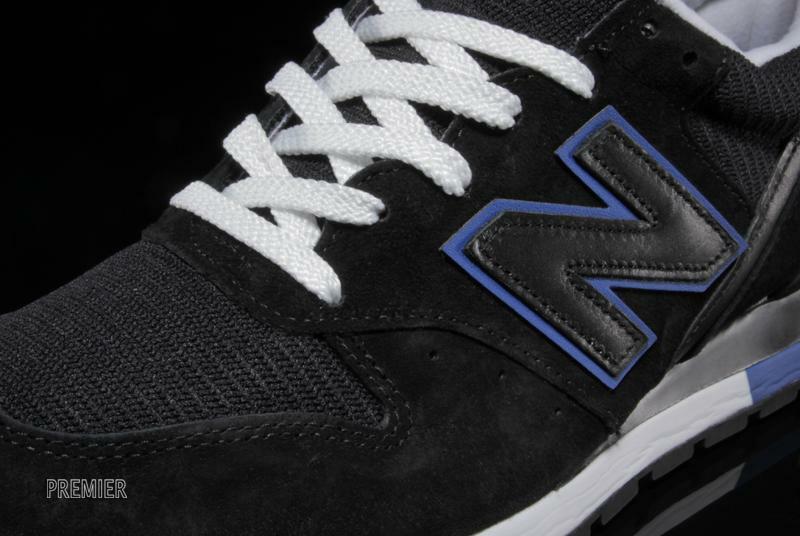 A sleek black and blue colorway hits the classic New Balance 996. 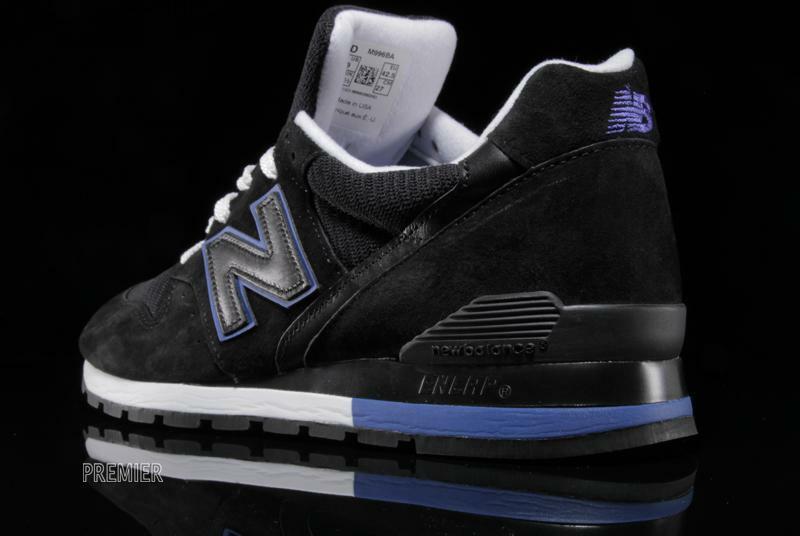 For whatever reason, New Balance doesn't seem to use many black colorways on their classic models. But, as you can see on this new version of the 996, when they do it's definitely a good look. 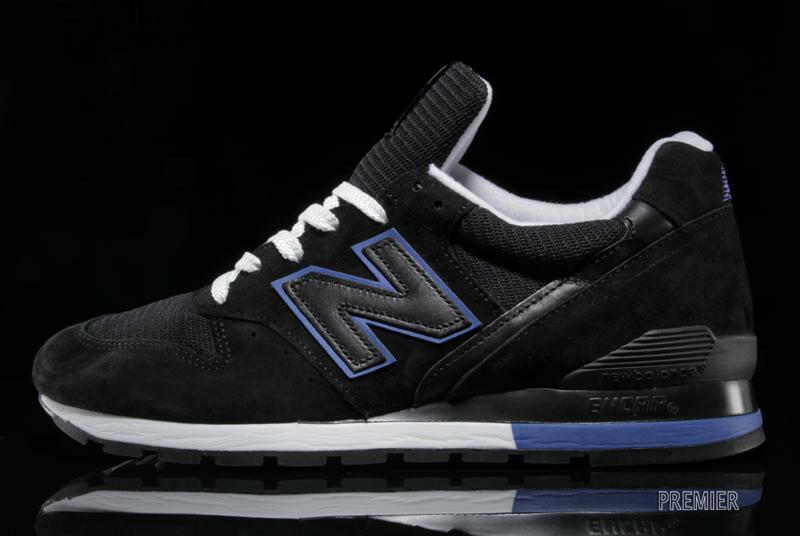 This sleek black 996 features a premium suede and mesh construction with accents in blue and white. As with all Made in the USA editions of New Balance classics, you can expect superior quality, durability and comfort with this new pair of the 996. 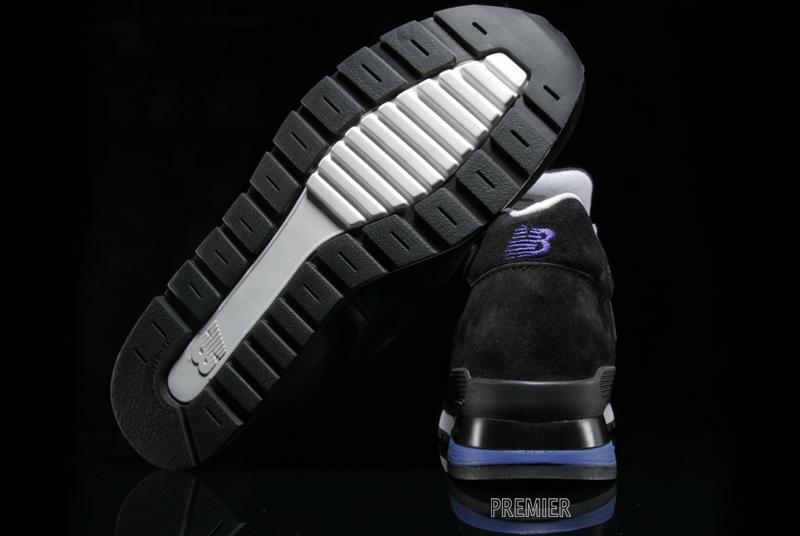 The M996BA is arriving now at select New Balance retailers, including online Premier.